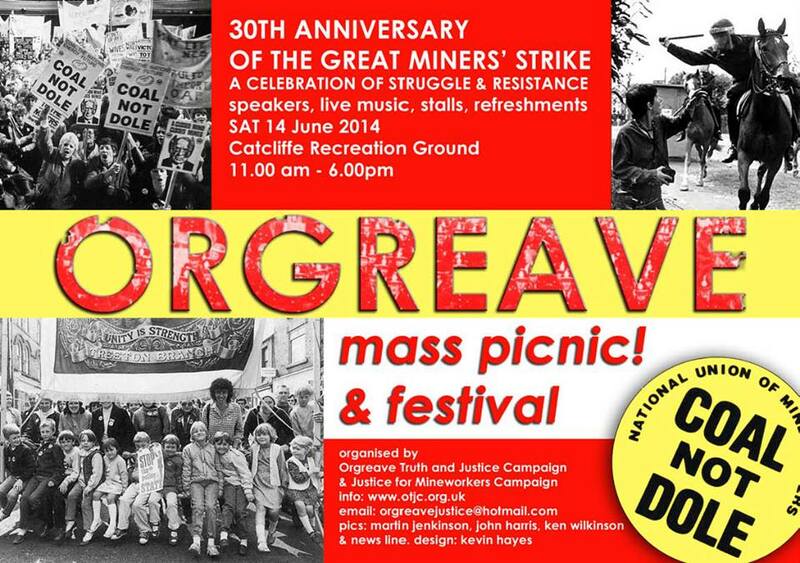 Paul Winter of the Orgreave Truth and Justice Committee (OTJC) will speak at the Spirit of Mother Jones Festival on Wednesday morning 30th July 2014 at 12 noon at the Firkin Crane, where as an eye witness he will describe the events of 30 years ago at the Orgreave Coking works during the British Miners Strike. Paul’s account of his experiences will be preceded by the classic film The Battle for Orgreave by Journeyman Pictures and shown with the kind permission of producer/director Yvette Vanson. The Battle for Orgreave was a major event during the British Miners strike. Orgreave was the site of a Coking Works in the North of England which had been subject to picketing in an effort to bring production to a halt during the strike. It then became a focal point of the miners’ anger on the morning of 18th June 1984 when a mass gathering of pickets from all over Britain converged on Orgreave. The events of that day have left a lasting legacy of bitterness all across mining communities ever since. Organisations such as the Orgreave Truth and Justice Committee (OTJC) have continued to campaign for the full story of Orgreave to be told. What happened at Orgreave, and the scenes of brutality involving a full scale charge on horseback on the miners by the police gave rise to some of the most horrifying images of violence ever seen in an industrial dispute anywhere! While Mother Jones in her day would have experienced extreme violence against miners, the scenes at Orgreave were reminiscent of the violence perpetrated on the ordinary workers of Dublin during the infamous 1913 Lockout. The events of the day formed an essential element of the efforts by the Thatcher government to defeat the miners by any means whatever. The use of the police in this manner by Margaret Thatcher ensured that the events would never be investigated and like the Hillsborough disaster in 1989, the payback was made by official cover ups and lies. The Cork Mother Jones Committee is extremely grateful to have received permission from Yvette Vanson, the Producer/Director of the film “The Battle For Orgreave” to permit a showing of the film at the Spirit of Mother Jones festival. This was first shown on Channel 4. This will be followed with a talk by Paul Winter of the Orgreave Truth and Justice Committee. 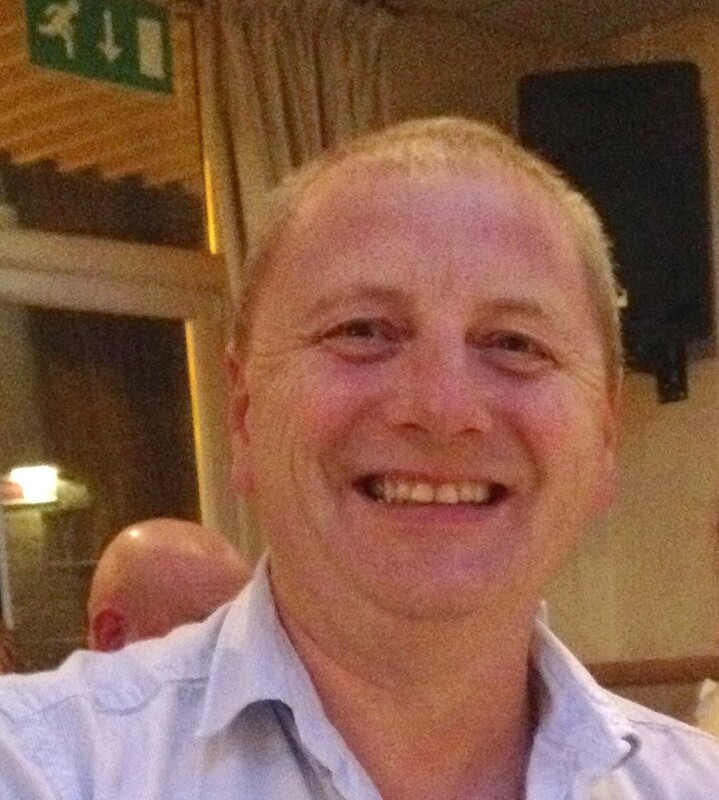 Paul is an ex miner from Barnsley who worked in the mining industry from 1980 to 1993 and was present at the Battle For Orgreave. Paul will describe the events of the day and will discuss the impact of the miners strike on his small but proud and passionate community. An understanding of the sometimes ignored events at Orgreave on that morning in June 1984 is essential to understanding the wider anger and raw feelings of injustice in the mining communities which remain to this very day!